Congresswoman Nancy Pelosi of California will be introduced this January as the Speaker of the House of Representatives. The position of power she takes on, in Washington, D.C., leaves her just behind the Vice President and President of the United States. This is not only a significant moment in history for women in the United States, but for Italian-Americans as well. After Pelosi takes the oath of office, she becomes the highest ranking women in this country's history and highest ranking Italian-American official in U.S. history. In 1962, Pelosi graduated from Trinity College in Washington, D.C. She and her husband Paul Pelosi, a native of San Francisco have five children: Nancy Corinne, Christine, Jacqueline, Paul and Alexandra and six grandchildren. 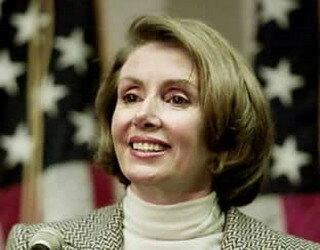 In 1987, Pelosi was elected to California's Eighth District in the House of Representatives. The Eighth District includes most of San Francisco including Golden Gate Park, Fisherman's Wharf, Chinatown, and many of the diverse neighorhoods that make San Francisco a vibrant and prosperous community. She was elected convincingly by her colleagues in the fall of 2002 as Democratic Leader of the House of Representatives. Pelosi became the first woman in American history to lead a major party in Congress. Before being elected Leader, she served as House Democratic Whip for one year. On November 16, Pelosi was unanimously elected by the Democratic Caucus as Speaker-designate. We look forward to following the decision-making Pelosi and the U.S. House of Representatives make. We hope to see Pelosi use her position to help break stereotypes of Italian-Americans, and we hope she will look at other deserving Italian-American people to fill positions of appointments.